Southern Cross Canvas have been manufacturing Australia’s leading range of premium Australian made canvas goods for 35 years and continue to do so. Their swag range is no exception. There are three different styles in numerous sizes available, apart of their range. You will be able to find a swag to suit your requirements. Also having the flexibility to custom manufacture the possibilities are endless. Southern Cross Canvas have refined and continued to develop their range of swag’s into the sensational and epic swag range that it is today. 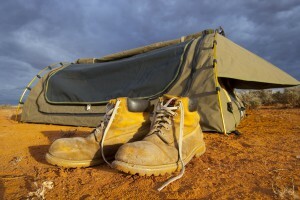 With its unique design features combined with the quality Australian made canvas, materials and highly skilled workmanship it has become an iconic swag range and revered by many, many satisfied customers of Southern Cross Canvas over the years. With an estimated 4.8 million residents Melbourne is home to almost 20% of Australia’s entire population. This makes it such a great place to live: there is a lot to do and the city is a thriving hub for many things like business, art and culture. But it also means that certain things are difficult to find. 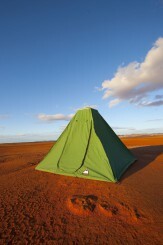 Many people love the opportunity to escape the big city and get out to explore some of Australia’s stunning wilderness. But the size of the city can work against you when it comes to getting your supplies together: when it comes to searching for swags for sale Melbourne can be a tough place, for example. Some people search for second-hand swags and also spend a lot of time searching both in store and online for the perfect option. But with so many poor-quality options out there you run the risk of making the wrong decision and putting your money into something that could leave you in a potentially very dangerous situation. 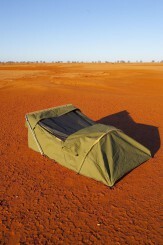 Shelter has to be taken seriously in Australia. This is why you should always consider investing in a quality product that’s created by a trusted and proven professional. We believe that we tick this box and you should certainly consider buying your swag from us. We are a family business with over 35 years of experience in creating quality canvas products. We aren’t a large manufacturer that has decided to create important products without the necessary skill or knowledge. In our time the company has passed from one generation to the next and all of the skills and experience generated in that time has stayed within the business. This means that our design and manufacturing process is smooth and always results in a quality product for our customers. If you’d like to check out some of our feedback, please do – you’ll be happy to see that our customers are very happy and the products they’ve had for decades still work perfectly! This longevity is partly because of the quality of the materials that we use. We won’t work with anything other than the absolutely finest Australian canvas and this pursuit of quality reflects in the final product. In our time as a business we have established contacts with the best suppliers and we know exactly how to create swags that are effective in Australia’s unique and challenging conditions. We use this material to create a winning range of swags. We offer single, double and king sizes as well as flat, enclosed and dome models in all of these sizes. This means that wherever you’re travelling, whether alone or as part of a larger group, you can find the perfect swag for you. This means that whether you want a tighter or looser fit we have you covered. All of these models have been designed and manufactured with the keenest attention to detail and if you even have custom specifications, we’ll be happy to implement those into the final product for you. When it comes to swags Melbourne gives you a lot of options but don’t get caught out by investing in a poor product that will need to be replaced and potentially leave you in a precarious situation. Purchase a quality and reliable swag. You can learn more about our products on our website and we will of course be delighted to answer any questions or listen to any special requirements that you may have. 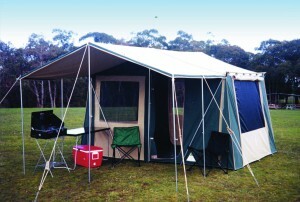 Southern Cross Canvas also offers high quality Canvas Tents, UTE Camping Canopies, Cabin Tents, Camper Trailer Tents, Canvas Annex, Caravan Annex & many more Australian made canvas products at best prices. You can get in touch with us today by giving us a call or sending a message through our website. We’ll get straight back to you. 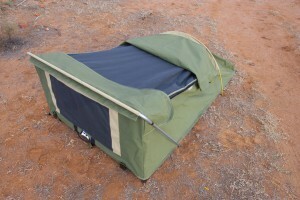 The Double Dome Swag is the most popular and great all rounder, in the Dome Style Swags that Southern Cross Canvas manufacture consisting of the following dimensions: Length – 2130 mm Width – 1280 mm Height – 700 mm Rolled Diameter – 250 mm – 300 mm Canvas – Australian Made Wax Converters Dynaproofed Billabong 10.9 oz (370g/sq.m ) Canvas Base – Heavy Duty Vinyl 520 gsm Optional sizes, colours, embroidery available. 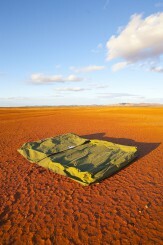 Contact one of the friendly Southern Cross Canvas team directly for further details. Replacement bow for the Double Dome Swag. Foot bow is high quality American made bows which are made from high strength, aerospace 7075-T9 alloy. Which have a scratch-resistant hard anodised surface. Replacement bow for the Double Enclosed Swag. Foot bow is high quality American made bows which are made from high strength, aerospace 7075-T9 alloy. Which have a scratch-resistant hard anodised surface. The Traditional Flat style swag is one of the most iconic original designs. A classic simple design. There is a large zip opening down one side to enable ease of access. This style enables on good nights, for the canvas flap to be left open and to be able to gaze at the stars. It does not get more simplistic than this design. A simple rectangular shaped swag bag manufactured using Canvacon (Agricultural Graded Poly Like Material).It has a 50mm velcro opening at one end, in which you slide the swag into, with a 50mm Poly Prop carry handle on side. This is a simple in design yet effective bag to keep your swag free from dust and water whilst in transit and storage.